I was always fascinated with bringing car interiors back to its better days, especially seats and delicate fabrics on door panels. Then in late 2012, an idea came up to undertake a professional training session with one of the leading Carpet and Upholstery Cleaning suppliers in the UK. Once I completed this I had a clearer understanding of the business and decided that in the coming years I will complete more professional courses to be the best and ‘stand out of the crowd’ providing the highest quality Carpet and Upholstery Cleaning services. 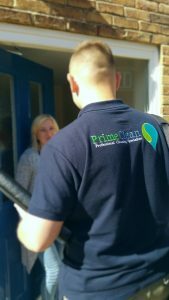 To date, I have completed in total three professional Carpet and Upholstery Cleaning courses across the Country and I can proudly say that every year PrimeClean grows and gains more and more trust – the reason why our clients come back to us every now and then. Please view a full range of cleaning services.